Sharpening our mental abilities, great luck and success. Knowledge, wisdom and enhanced communication skills. Fast learning, improved memory, quickness of thought and of wit. 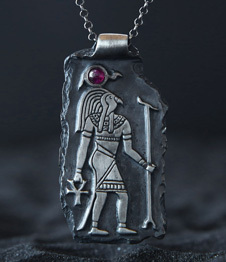 The Mercury Talisman is an extremely useful tool for sharpening our mental abilities, improving our linguistic expression and enhancing our focus and memory. 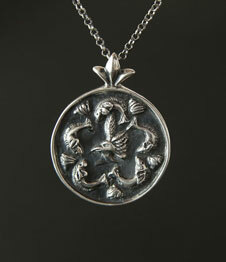 Traditionally, the Mercury Talisman is associated with overall good fortune, success and prosperity. Improved life-navigation skills, particularly in areas concerning business and commerce. 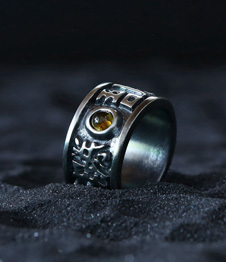 It is also regarded as the Protector of travelers. Mercury is the Ruler of intellect, movement and communication. 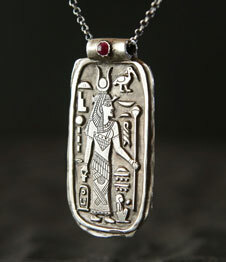 Thus, the Mercury Talisman awakens and boosts brain activity, improved cognitive functions. Also induces mental clarity and greatly assists with everything that involves communication, speech, writing, editing and success in studying. This is a potent Talisman for writers, journalists, bloggers, reporters, merchants and media people. 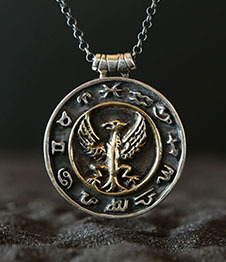 Traditionally, it is also a potent Talisman for those who deal with occult maters, as it helps 'bringing down' higher concepts and synthesize them into a coherent, relatable and easily transmittable form. 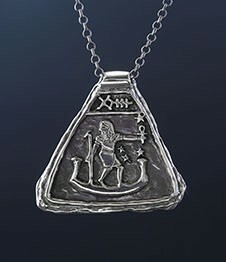 The creating of this Talisman occurs at a time when Mercury is strong, after finishing his retrograde, gaining his speed back and just entering his home and exhalation sign of Virgo. Mercury is rising at the first degree of Virgo While he is conjunct to Regulus, The Lion’s Heart and one of the forth Royal stars who according to Ptolemy having to do with success, high and lofty ideals and strength of spirit. The Moon at Taurus, her exaltation sing, overseeing Mercury with supporting aspect, a trine, and impressing upon it additional Earth energy. This unique combination is especially helpful for people who feel that there logic may be lost in the fog of fantasy and they are longing for the mental acuity of the rational and analytical sign of Virgo who can easily analyzes and memorizes data for a more practical thinking. This Talisman is particularly efficient in bettering our attention skills. Like moving us from a state of stagnation to a state of mental and physical flow. Restoring memory function, improving communication and the ability to express and understand. 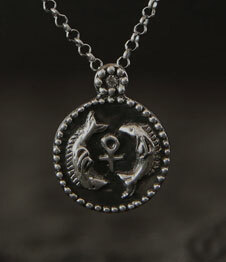 Our manner of speech is significantly improved by wearing the Mercury Talisman, as well as the way we are actually heard. When Mercury speaks, others listen! 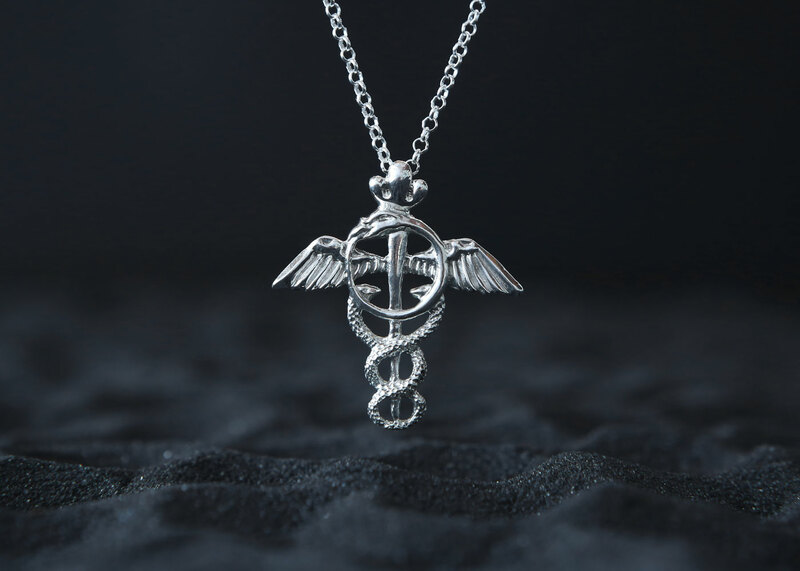 This pendant is designed in the form of Mercury's caduceus, the staff carried by Hermes, which two snakes intertwined around it while a third Ouroboros snake with two wings is in the center of the Talisman. 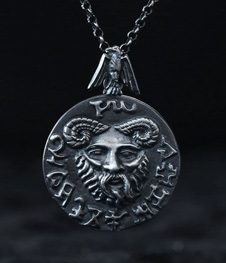 Tradition recommends wearing the Talisman for the first time on a Wednesday (the day of Mercury), while you are by yourself, imagining what it is that you desire most from it. Be specific and detailed when formulating your wishes, and at the moment of actually wearing the Talisman, imagine yourself in the situation you wish to be in. “Whoever uses it will have elegant manners and be intelligent, and guard what he hears. No one will overcome you in any argument and all matters of the soul and all questions of Mercury will be clear and understandable for him. He will know how to entertain correct ideas, and will have a wise soul, strong reason and hold accepted opinions. The answer to many complicated questions will be resolved in dreams and if you suffer from epilepsy the illness will disappear. If it is placed upon young boys suffering from nightmares, who cry or are epileptic, these evils will disappear. It also cures in he who wears it”. “The ring of Mercury is for [success] as a counselor, clerk or scribe and for rhetoric, knowledge and wisdom, as well as divination by dreams. It is for the relief of melancholy and for the ailments of the blood and liver. 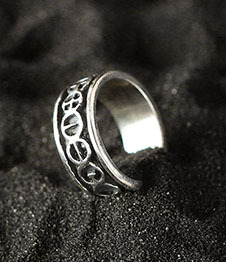 The ring of Mercury will make one who is flighty and capricious serious and sedate”. 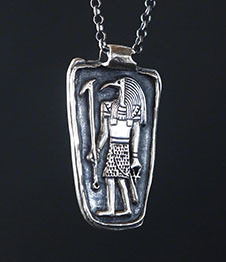 “… and if it be with Mercury being fortunate engraved upon Silver, or Tin, or yellow Brass, or be writ upon Virgin Parchment, it renders the bearer thereof grateful, and fortunate to do what he pleased: it bringeth gain, and prevents poverty, conduceth to memory, understanding, and divination, and to the understanding of occult things by dreams”.